Hythe Marina Village: Hythe Marina was the first marina village to be built in the UK and is still one of the finest. Located on Southampton Water’s western shore, it’s a unique development of a 206 berth marina, together with waterside homes, shops, restaurants, bars and boutique hotel. 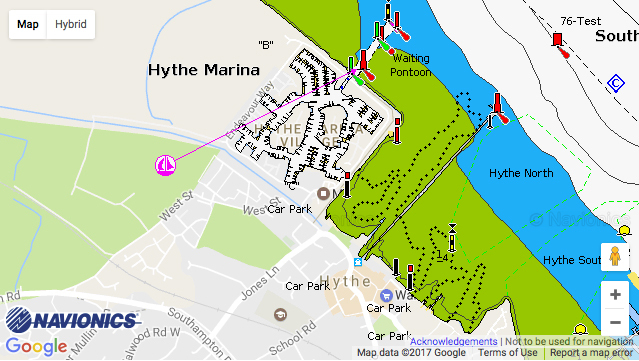 Hythe Marina Village is part of MDL Marinas, Europe’s leading marina operator, who are proud to offer the most comprehensive berthing package in the marketplace. The Freedom Berthing package gives owners far more than a superb berth and marina facilities, it’s a passport to extra rewards, benefits and savings, such as complimentary stays at over 100 marinas both in the UK and Europe, discounts on boatyard services, super fast WiFi and fuel at cost.